ANSI Class 2 Safety Vest. Polyester mesh. Zipper front closure. 1 interior waist pocket with hook and loop. 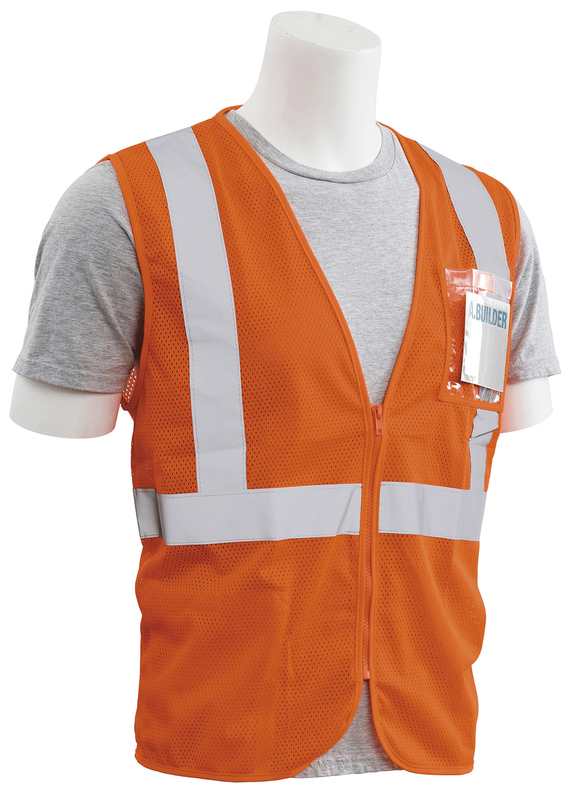 1 left chest ID pocket (5.25"x 4.25") Conforms to ANSI/ISEA 107 standard for design, color and reflectivity.